Bonny is a Senior Research Fellow at MUCHE. Prior to joining MUCHE she was a Research Fellow at the Centre for Health Economics, Research and Evaluation at the University of Technology Sydney (UTS) for six years. She has also worked at AstraZeneca in the United Kingdom as a senior health economist, Access Economics in Canberra as a senior economist, and the Social Policy Evaluation and Research Centre at the Australian National University as an Assistant researcher. 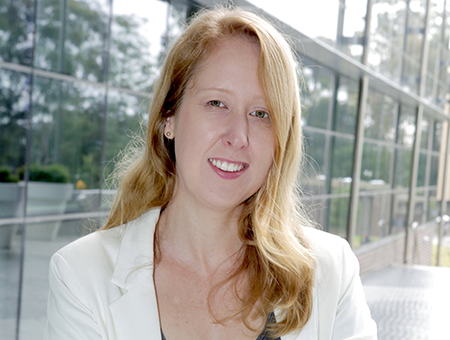 Bonny’s expertise is in pharmaceutical policy in Australia, conducting and reviewing economic evaluations of healthcare interventions and technologies, and analysing linked administrative data to inform economic evaluations. Dr Parkinson leads a team of researchers conducting evaluations of submissions to the Pharmaceutical Benefits Advisory Committee (PBAC) and researching economic evaluation methodology. She is currently a member of the Ezetimibe Review Reference Group for the Australian Government Department of Health (2016-2017). She has published 12 peer-reviewed journal articles and 15 non-peer-reviewed publications; and presented at 14 conferences. Her PhD was on “Pharmaceutical Policy in Australia: Developing Methods to Manage Uncertainty in Health Technology Assessment”, for which she received the UTS Chancellor’s List award in 2016. During her time at UTS she conducted numerous evaluations of submissions to the PBAC, the Medical Services Advisory Committee (MSAC) and the National Diabetes Subsidy Scheme (NDSS). For this work she was awarded the UTS Research Excellence Through Partnership award in 2013. In recognition of her expertise in reviewing economic evaluations, she was an invited member of the international Delphi panel which developed the AdViSHE tool – a tool that can be used to assess the validation status of health economic decision models. Bonny has excellent skills in presenting complex economic research in ways that captivates an audience’s attention and is understandable. She teaches health economics as of the Masters of Public Health and regularly teaches short courses on economic evaluation. In 2014 she was invited by the Australian Chapter of the International Society for Pharmacoeconomics and Outcomes Research (ISPOR) workshop ‘Risky Business: Decision Making in Healthcare with Economic Uncertainty’. Bonny was also an executive member of the Australian Health Economics Society (AHES) committee (2012-2016). In 2015-2016 she was acting secretary and was involved with organising the 2015 AHES conference. She is currently co-organising the 2017 AHES conference in Sydney. In 2013 and 2014, Bonny co-conceived and co-organised the first and second Australian Health Economics Doctoral workshop. The feedback from participants was very positive in the first two years that the workshop is now a permanent fixture of the annual Australian Health Economics Society conference. Boyages, J., Xu, Y., Kalfa, S., Koelmeyer. L., Parkinson, B., Mackie, H., Viveros, H., Gollan, P., Taksa, L. The Financial Cost of Lymphedema Borne by Women with Breast Cancer, Psycho-Oncology (epub ahead of print). Parkinson, B., Viney, R., Pearson, SA., Haas, M., Goodall, S., Srasuebkul, P., Real world evidence: a comparison of the Australian Herceptin Program and clinical trials of trastuzumab for HER2+ metastatic breast cancer, Pharmacoeconomics, 34(10): 1039-50. Parkinson, B., Elshaug, AG., Authors’ Reply to Palozzo and Messori: ‘‘Disinvestment and Value-Based Purchasing Strategies for Pharmaceuticals: An International Review’’, Pharmacoeconomics, 34(4):421-2.